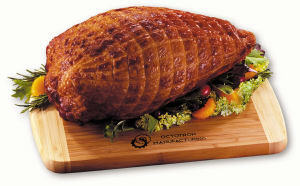 To truly impress VIP clients, nothing looks or tastes better than one of our gourmet promotional meats. Fine food is one of life’s great pleasures, and there is nothing quite like biting into a choice piece of personalized gourmet meat. 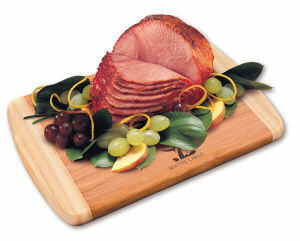 Americans especially love meat such as ham or turkey, and at IASpromotes.com we offer the best of both to customize as gifts. 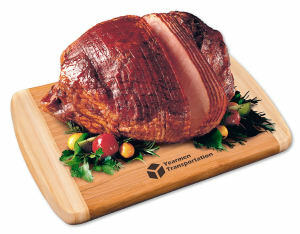 Executive colleagues will be thrilled to receive a gift of personalized gourmet meat, especially around the holidays. Clients and colleagues who receive promotional gourmet meat will instantly know how much you appreciate them, and will place your brand in high esteem. 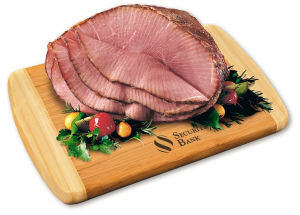 Choose your favorite promotional gourmet meat and have it custom printed with your corporate logo, company name and business contact information. We can help you personalize a design to maximize brand impact and visibility since all eyes will be on the exquisite ham underneath your logo!